Grey & gold stone studded dangler designed by Atelier Mon at AASHNI+CO. 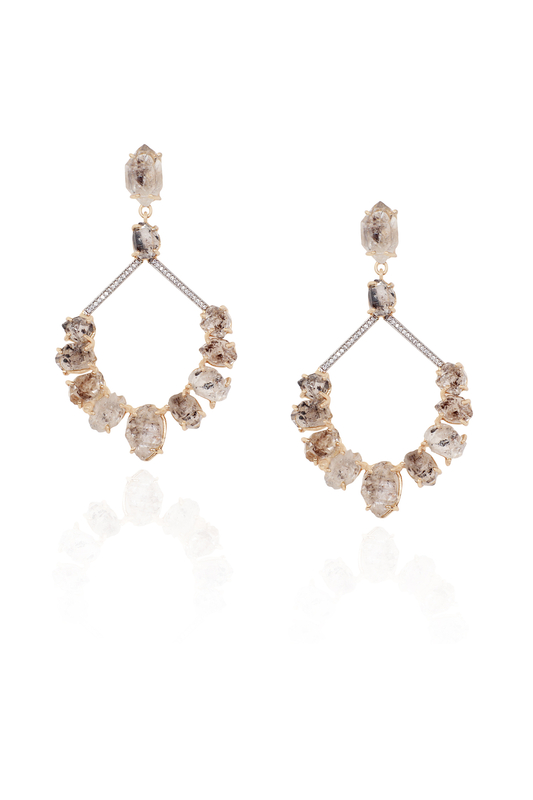 Atelier Mon inspires a modern design cutomizing this pair of dangler with semi-precious stone in a bohemian style. Reserve the beautiful piece for your beach holiday.